Apple releases its iPhone 6s in the year of 2015. As we expected, there are some bugs in it when it comes to our eyes firstly. One of them is home button burning out. Most of the iPhone 6s users complain that iPhone 6s home button is burning out when they use it. It seems that such bug has appeared in iPhone 6 but now it become more seriously. What’s worse, some users can’t open the flashlight when they attempt to take photos, some of them even auto power-off. That’s really terrible! Consequently, in this article, we are going to share tips about how to solve this problem of iPhone 6s home button is burning out. This is because iPhone 6s running speed is faster than the older iPhone, so that the temperature will rise. And home button is next to pyrotoxin, so it is hot and even burning out. And once the temperature of iPhone 6s is high, will influence the usage of some hardware, one of them is flashlight. When the machine fever, iOS system will pop up information about “Need to chill before using flashlight.” If iPhone 6s continue to burn out, system will power off automatically, in order to protect hardware be damaged by high temperature. Beside this, some possible reasons are, system software conflict or mother board working voltage instability. The last reason is, Touch ID fingerprint identification lead to iPhone 6s home button is burning out. : First of all, when we feel that the phone home button is burning, keep pressing the power button in the right side of the phone. Then enter the “Slide to Power Off” option window, and then slide it to close the iPhone, then restart it. : Or we are able to restart it by forces shutdown. At the same time, use your finger to press the Power and Home button on the right side, until we the iPhone 6s enter whiter Apple mode, then loosen the finger. : If the phone is still burning hot after rebooting, you can click the option: Settings->> General->> Reset->> Erase All Content and Settings, to restore. However, your data will lose in this method. Therefore, this is a careful consideration. : It the above solutions are not working, please take the shopping invoice to the Apple after-sales service center in 15 days when you begin to buy the phone. Then to make sure the problem with the help of the Apple staff, they will change a new one for you. : Another way is to open your iPhone settings and then enter the general setting, then to open the software update, to check whether there is a new version or not. If yes, just to update the iOS system to repair the issue. Well, that’s all the information that we collect, hope them helpful to you. By the way, if you have any other problems, such as iPhone stuck, iPhone runs too slow, iPhone backup and restore, iPhone remove ads, iPhone repair system, and iPhone data transfer, you can use Tenorshare iCareFone to fix them. It is a professional software and it supports Windows and Mac platform. When using an Apple device, no matter iPhone, iPad or iPod Touch, you will find that the content gets automatically synchronized whenever you connect it to your PC, once you have installed iTunes on your computer. So you can find a backup copy of your files on your iTunes. Sometimes you may find the need to unlock your iTunes backup so you can restore your iPhone/iPad/iPod. Such as you have just lost your iTunes backup password. This is one of the passwords that you always forget, or you never seem to know what iTunes application password to access all your files. If you are looking for ways in which you can unlock your iTunes backup password. Here are three of the top tools that can be useful when you unlock iTunes backup password. Tenorshare iTunes Backup Password Unlocker ensures 100% decryption for your iTunes backup password with powerful decryption technique, provides 3 types of attacks, Brute-force Attack, Brute-force with Mask Attack and Dictionary Attack. Which allows you to select the most appropriate one to unlock the iTunes backup password. This software supports most of the iPhone, iPad and iPod modes, easy to use with simple and initiative interface. What’s more, you can unlock iTunes backup password with the professional version. iTunes Password Genius compatible with iPhone 6/6 plus/5s/5c/5/4s/4, iPad 4/3/2/Mini/Air/Mini, also have Brute-Force, Mask, Dictionary three Attack types. And the iTunes Password Genius can also restore iTunes backup to iPhone/iPad/iPod. iSeePassword iTunes Backup Password Recovery offers a forensic way to access password-protected backups for iPhone, iPad and iPod. Supports any version of iTunes (including old versions for applications that are slow to update), no damage to backup data and computer would be expected. Have checked the top 3 iPhone backup password unlocker, have you made a final decision? If you still have any problem about iTunes backup password unlocker, be free to tell us by leaving a comment in comment section. If one day you lost your iPhone backup password in the condition that you do not remember you iTunes password, or you do not have set an iTunes password. From in that condition, you will not be allowed to login to your iPhone. There are top 2 methods applies to for you to recover or remove your iPhone backup password. Top 1: Try all possible passwords. So if you can’t remember your iTunes backup password at all, you can try some possible passwords to meet the fortune. This is the most simple and common methods you can use to recover iPhone backup password. Below are several passwords you can try to erase your memory. 1.Try your iTunes Store password. 2.Try your Apple ID password. 3.Try your Windows Administrator password. 4.Try all kinds of variations of your family’s name or birthday. 5.Try some possible passwords, like “000”, ”1234”, etc. 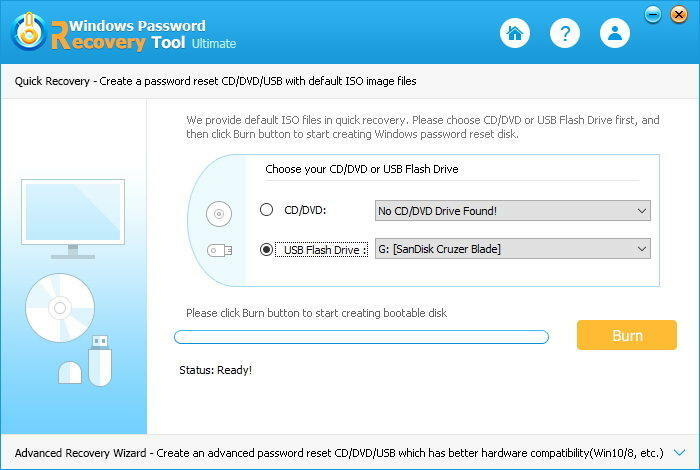 Top 2: Using iPhone backup password recovery tool-iPhone Backup Unlocker. If you have tried all the above possible methods but they still did not work at all, don’t be annoyed, iPhone backup unlocker program will take you out of the condition. It is a specially designed tool for iPhone users to recover lost or forgotten iTunes backup password. One option that you need to pay attention to is that iPhone Backup Unlocker provides two versions. The standard version is aimed at recover iPhone backup password, the professional version is aimed at remove iPhone backup password. Part1: Recover your iPhone backup password. Step1: Download the professional software- iPhone Backup Unlocker to install and run on your computer. Brute-force Attack, Brute-force with Mask Attack, Dictionary Attack. After that you need to define sets of Brute-force with Mask Attack type and Dictionary Attack type. If you choose “Brute-force Attack”, it will try all possible ways and don’t need to define anything. But it will costs a long time. If you choose “ Brute-force with Mask Attack”, you need to click “setting” to define something, such as password length. If you choose “Dictionary Attack type”, you also need to click “setting” to move forward. Step3: In that step, you just need to click “start” to recover your iPhone backup password. After several minutes later, you will see your lost iPhone password is listed on the below. Part2: Remove iPhone backup password. iPhone Backup Unlocker Professional can help you remove password from your encrypted iPhone backup file directly, which iTunes can’t do. Follow the steps of below, you can remove your iPhone backup password, then you will login to your iPhone without password. Step2: Select one encrypted iPhone backup file that you want to remove the iPhone backup password. Then click “encrypt” to remove your iPhone backup password. As far as I am concerned, this method is the easiest way to recover iPhone backup password. iPhone Backup Unlocker is the fastest tool to recover iPhone backup password. Question: I recently reformatted my iPhone so everything got erased. I re-installed my apps including viber and when I checked it, my old messages are not there anymore. Is there any way I can get back the deleted Viber messages? Download and launch iPhone Data Recovery. Then connect your iOS device to your Windows computer. After the connection complete click “Start Scan” to proceed. After the scanning process finishes, you can preview your Viber messages. Select which you want to recover. Click “Recover” to recover deleted Viber messages on your iPhone/iPad/iPod and choose a path where you want to save the recovered messages. In addition to the recovery mode above, you can also choose to get back your deleted Viber messages from iTunes or iCloud backup. This 2 recovery modes are smart choices for some cases in which you can’t access your iPhone/iPad/iPod. The steps are much the same in the 3 recovery modes. If you have any problems you can leave a comment under the post. Good luck to you! As all we know, data on iPhone is important for us, especially contacts, SMS and photos. It is necessary to make a backup regularly in case of data loss. Previously you need to connect your iOS device to computer with USB cable by iTunes. A new backup way-iCloud backup was introduced when iOS 5 came out. In general, now we can use iTunes or iCloud to back up our iPhone, iPad and iPod. Which one is better? Here I am talking about it. When you start using iCloud service, Apple provides you 5GB of free cloud storage space. The advantage of iCloud Backup is that you can back up your iOS devices wirelessly and automatically without connecting your device to a computer. So this way is easy and convenient. You have no Mac or PC. You want to make a backup automatically when your device is connected with WiFi. Recovering lost iPhone data anywhere. iCloud Photo Library beta (if enabled). Shared photo streams and My Photo Stream. Documents you save in iCloud using iOS apps and Mac apps. Keep your iOS device connected to Wi-Fi and plugged into the charger(Or make sure iPhone has enough power). Some people sync their iPhone data to iTunes regularly, because they think making a backup with iTunes is easy, and much quicker than iCloud. That’s how it goes. The data is synced over the USB cable with high speed. You own a computer and use it frequently. You have no Apple ID. 2. How to make an iTunes backup? First, you should connect the iOS device to the computer (Mac or PC) with a USB cable. Second, open iTunes. Choose File > Devices > Back up. Please notice that iTunes Backup doesn’t create a duplicate backup of your movies, music, podcasts, and apps. When you back up, your media content is synced from your primary computer using iTunes. So which one is better? There is no exact answer. It is best to use both iCloud and iTunes backup. Take advantage of iCloud backup’s ease and reliability, and make an iTunes backup for your iOS device once a week or a month. If you want to recover iPhone (iPad, iPod) data, just use them. Extremely grateful for all your support, Tenorshare are currently running a Christmas promotion in this Christmas season. For a limited time, all users are able to get an extra 10% discount of all Tenorshare products. What’s more, you can enjoy the biggest discount of up to $15 off for certain products. To start picking up gifts, check our Christmas Page right now! To learn more about this promotion, keeping reading! iPhone Data Recovery (Original $69.95, now $54.95) — The best-selling product ever to aid in the recovery of lost data on iPhone 6 Plus, 6, 5S, 5C, 5, 4S, 4 etc. It has reached 37,860 total downloads and gained a full 5 star ratings in CNET Download. iPhone Backup Unlocker (Original $49.95, now $34.95) – A powerful backup unlocker to quickly find and disable iPhone, iPad, iPod backup password with its strong decryption methods. Android Data Recovery Pro (Windows: Original $69.95, now $54.95; Mac: Original $59.95, now $44.95) – A reliable data recovery tool for Android phones, including Samsung, HTC, Sony. It is spoken highly of by all users. Any Data Recovery Pro (Windows: Original $49.95, now $34.95; Mac: Original $59.95, now $44.95) – Enables you to easily recover any data for Windows, Mac and Linux file system. iPhone Care Pro (Original $49.95, now $34.95) – A must-have iOS system care product to fix all iOS problems and tune up iPhone, iPad, iPod. For the above-mentioned 7 products, you can directly buy them from our Christmas page. They have automatically had a $15 price reduction when you pay for them. For other products, you just go to the official website of Tenorshare, click “Buy Now” button on the purchase page and enter the coupon code (TENO-ARO7-UCOX) in the shopping cart. Quite easy, isn’t it? Grab the golden chance and take advantage of the discounts before they expire. Now iPhone 5S or iPhone 5 is becoming more and more popular. Many people lost data when they are using iPhone 5. Some may delete photos by accident or lose data after upgrading to iOS 8, which are important for users. Is there an easy way to retrieve iPhone 5s/5 data? The answer is YES, and this is the topic I will talk about. It is easy to retrieve iPhone 5s/5 data with pro Tenorshare iPhone Data Recovery. This is an excellent iPhone 5 data recovery tool for iPhone 5/5s/5c. In fact, it is effective to recover lost data of iPhone 6 series and iPhone 4 series. It can retrieve contacts, SMS, photos, videos, notes, calendar from your iPhone 5/5S. With the help of it, you can recover deleted data from your iPhone 5s/5 as you want. Step 1. 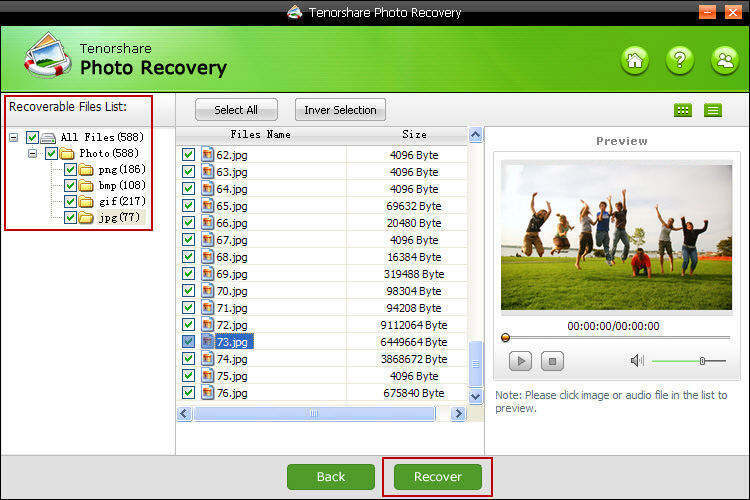 Download Tenoshare iPhone 5 Data Recovery. Connect your iPhone to computer with the USB cable, and then launch the program. If connect successfully, you will see the interface changing, the “Start Scan” button appears, click it to start. Step 2. Preview the lost data. All deleted data will be in category on the left. You can preview them by clicking and choose to recover. Note: Have you noticed the “Print” button? Just click it to preview or print iPhone photos, text messages, contacts, notes etc. Step 3. Click “Recover” to start. You will get data back after a while. 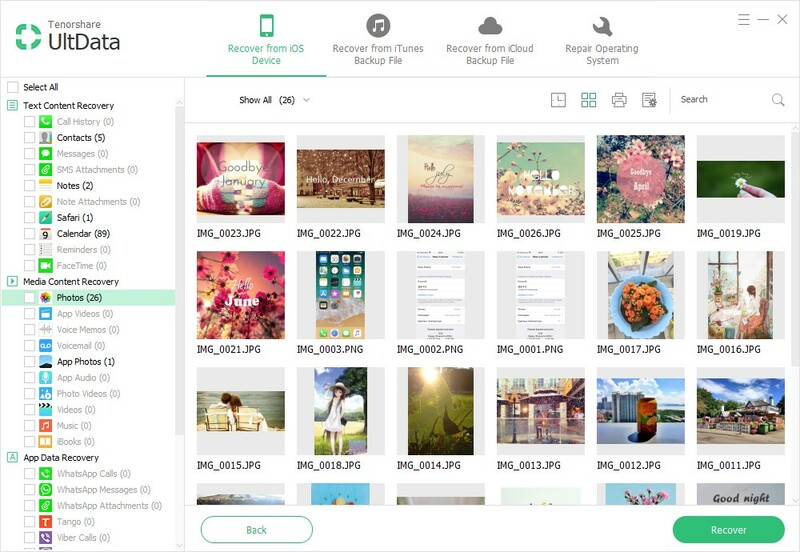 You can save photos, notes, SMS into a folder, and save contacts as vcf or txt format. iPhone 5/5s water damaged? Lost iPhone 5 data? Don’t worry, you can recover them from the iTunes backup that you have made before. 1. Connect your iPhone to your computer and run this program. Switch to “Recover from iTunes” mode on the top of the program. You can see that the program detects iTunes backup and list them. You need to choose one and click “Start Scan” to continue. Tips: If your iTunes backup is not saved in the default path, you can import the backup to this program handily. 2. Choose the files that you wish and recover them. This program allows you to choose the files like SMS, Contacts, photos etc (Instead iTunes can’t do that) and preview them. Choose and click “Recover” to start. Click iCloud icon to choose “Recover from iCloud Backup File”, type your account and password to log in. Choose a backups if you have several backups, and choose the file types to download. Take a preview of the data, and choose any data that you’d like to restore by ticking it. “Okay, I have bought an iPhone 6 and my iphone was jailbroken. It worked fine until I updated my iPhone 6 to iOS 8.1. Now my iPhone 6 gets stuck in recovery mode. Is there any way I can get my iPhone 6 out of recovery mode without data loss?” Thomas asked. This is a common problem. Not only Thomas but also many iPhone users have. If your iPhone works well, you can connect iPhone to computer, and use iTunes to restore your iPhone. You should know if you don’t backup your iPhone before, you will lose important photos, contacts, SMS in your iPhone. How to get iPhone out of recovery mode without losing data? In fact, you don’t worry about losing data. I will introduce you a freeware to fix this issue without losing data. Tenorshare Reiboot (http://www.tenorshare.com/products/reiboot.html) is a totally free program for fixing iPhone 6/6 Plus/5s/5/5c stuck in recovery mode(Red iTunes logo and USB on the screen). 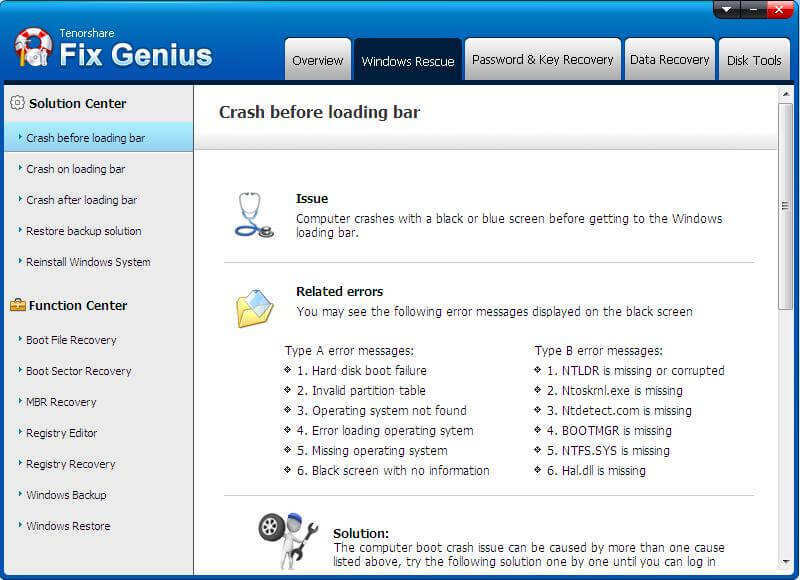 The program has simple interface with just two buttons, “Enter Recovery Mode” and “Exit Recovery Mode”. Here I will tell you how to get iPhone 6 & 6 Plus out of stuck in recovery mode with Tenorshare Reiboot. 2. Open Reiboot and it will detect your device automatically. You will then find the “Exit Recovery Mode” button is in light green and the “Enter Recovery Mode” button is in grey. Click “Exit Recovery Mode” to let your iPhone 6(6 Plus) reboot and get back to its settings. It is so easy to get out of recovery mode stuck with Tenorshare Reiboot. 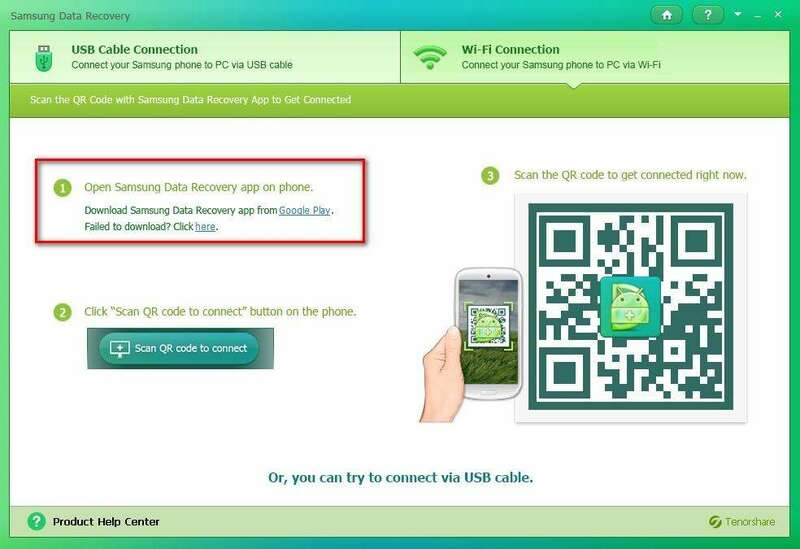 This program also can force to get in recovery mode by clicking “Enter Recovery Mode”. The process of updating iOS or restore your iPhone hasn’t been finished. iTunes doesn’t register the device when you connect it to your computer. There is only an Apple logo on your iPhone screen for long time and no change. At this time, You have to fix this issue by recovery mode. Something wrong with iOS update, which may causes that your iPhone get stuck in reboot loop. Or your iPhone runs with low battery life when installing the update. These three reasons can help you how to get iPhone out of recovery mode. Or you can fix iPhone 6 stuck in recovery mode with Tenorshare Reiboot. “I have made an iTunes backup on iPhone 5s and set a password for it. Now I have a new iPhone 5. I want to restore the iTunes backup to iPhone 5. It prompted me for a password when I recovered. I have tried all password I’ve used on iPhone. All failed. Can someone tell me the solution? How can I unlock password for iPhone 5 backup file? This iTunes backup is important. ” John said. iPhone users will make an iPhone backup file In case of losing iPhone data. They also can set an iPhone backup password to protect iPhone data. What if you forgot iPhone backup password? Or you didn’t even set a password? Is there a way that can unlock iPhone 5/5s backup password? The answer is “Yes”. Here we talk about this issue. 1. You need to download Tenorshare iPhone Backup Unlocker from its official website. After download and install the program, launch this program and you will find this program’s interface quite user-friendly. 3. Choose the types of attack. This program has three types Brute-force Attack, Brute-force with Mask Attack and Dictionary Attack. Just click one. Note: It is necessary to know the differences among these three types. Choose a proper type can help you reduce the time of cracking. Brute-force Attack: This type will try all possible combinations. It may not save time but success with a high probability. Brute-force with Mask Attack: You can customize numbers, symbols, characters that you remember in your password. Dictionary Attack: In this type, you may unlock password from a text files with all possible passwords. 4. Click “Start” to unlock password. It may take a few minutes or hours, which depends on the password length and complexity. After unlocking password, you can recover iPhone 5/5s data from iTunes backup. Be careful and don’t forget iTunes backup password next time.